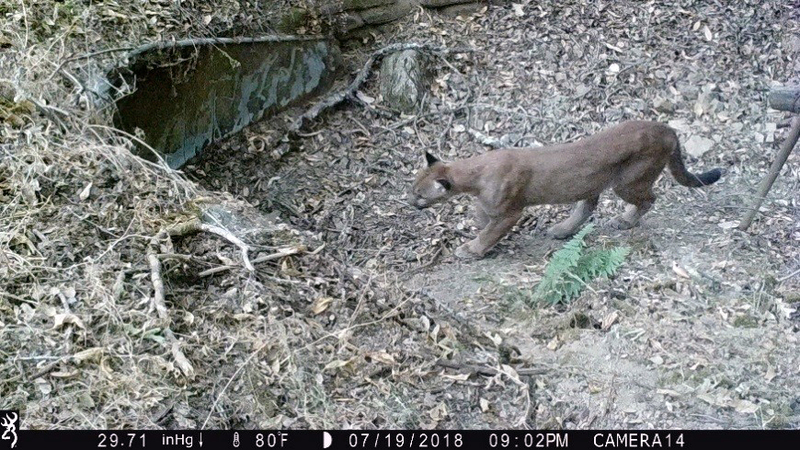 This mountain lion was caught on a Caltrans wildlife camera installed on US-101 north of Santa Rosa. 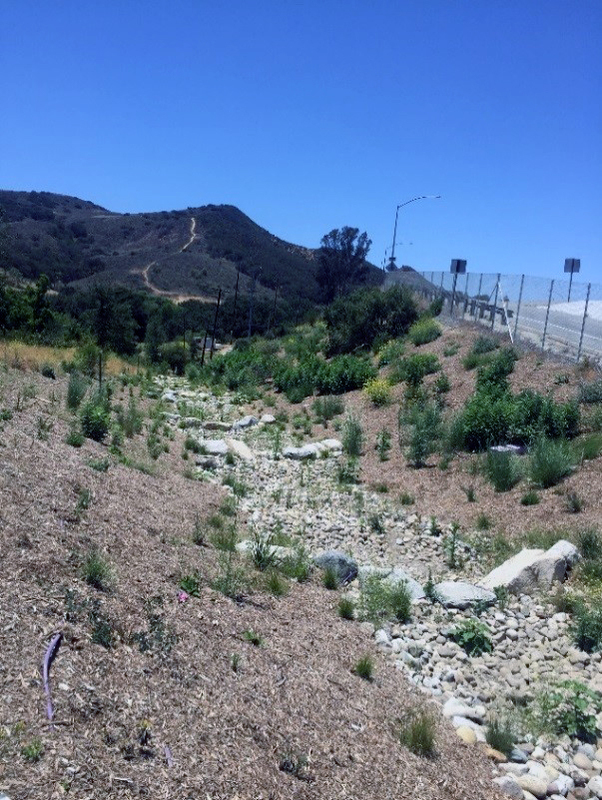 Caltrans is using the cameras to monitor wildlife activity and to determine the right location for potential future improvements that will allow animals to safely cross the highway. To help reduce collisions, Caltrans and the California Department of Fish and Wildlife remind motorists to be on the lookout during Watch Out for Wildlife Week, which runs Sept. 16 – 22. According to the California Highway Patrol, 12 people died and 383 people were injured in 2,134 collisions with wildlife on state, county, and local roadways throughout California in 2017. Be extra alert when driving near areas wildlife frequent, such as streams and rivers, and reduce your speed so you can react safely. 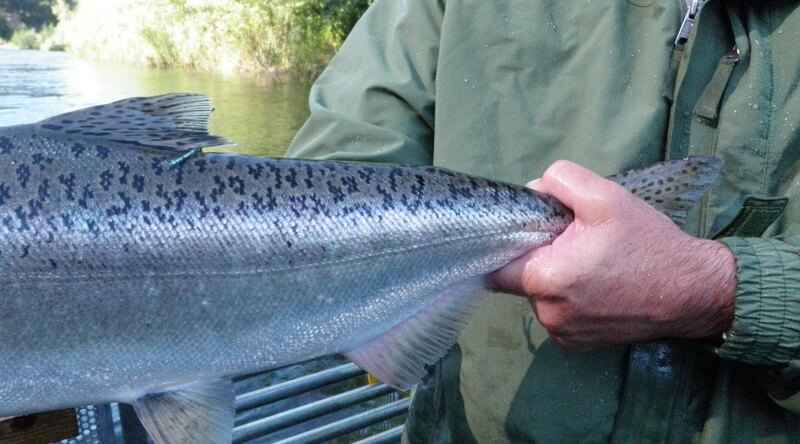 Pay extra attention driving during the morning and evening when wildlife are often most active. If you see an animal on or near the road, know that another may be following. Don’t litter. 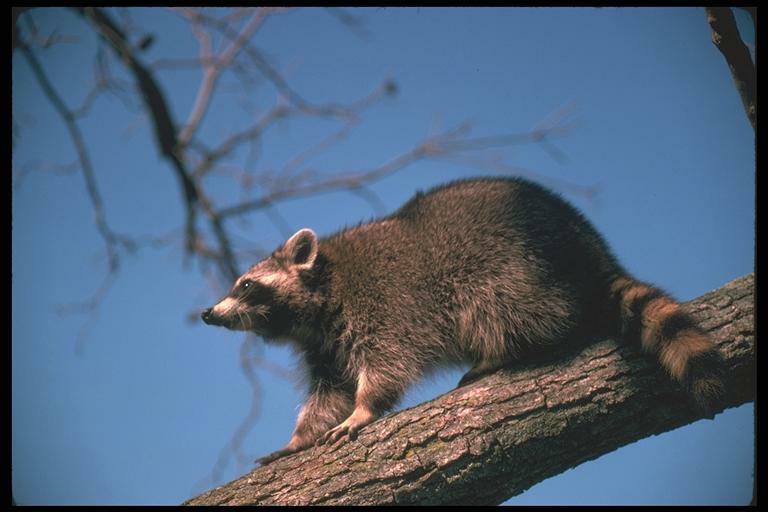 Trash odors can attract animals to roadways. Pay attention to road shoulders. Look for movement or reflecting eyes. Slow down and honk your horn if you see an animal on or near the road. 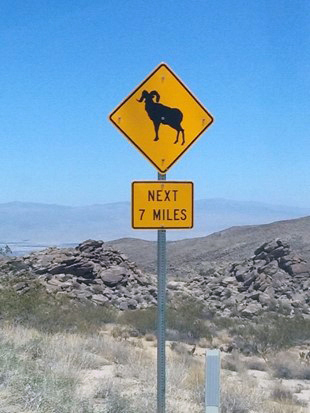 Sign warns drivers to watch for bighorn sheep on SR-74.